Australians have fallen in love in Asian food, but as East and South East Asia covers one third of the world's population there is a good chance that there are many dishes you have yet to try. Here are 5 favourites that most people in Brisbane have never tried. This is a Korean favourite and staple with a number of varieties. Basically you get a stone pot with rice, vegetables, sauce with an egg on top. Some variations include meat, and some include raw meat but come in a hot stone pot. When the dish arrives you should mix the dish, especially if the meat is raw, you want to mix it so that it cooks the meat. One trick to eating this dish is the sauce that is sitting on top of the rice, usually under the egg, is hot and spicy. If you don't want your meal to be too hot and spicy remove some of the sauce first. 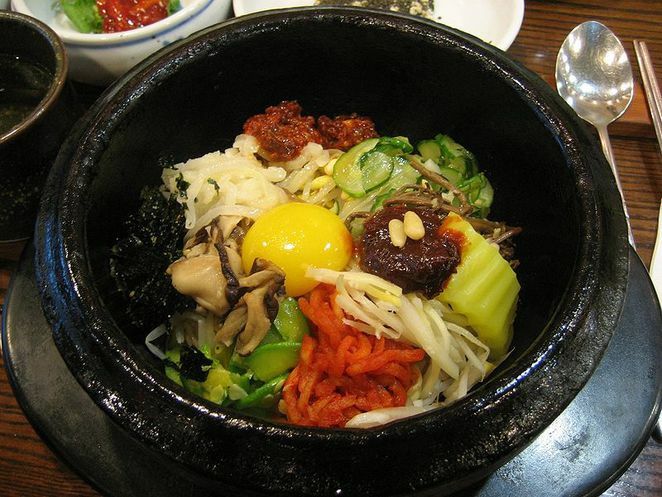 There are several Korean restaurants that serve excellent Bi Bim Bap on Elizabeth street in the city. A popular one for myself and my friends is Madtongsan which has two locations on Elizabeth Street. 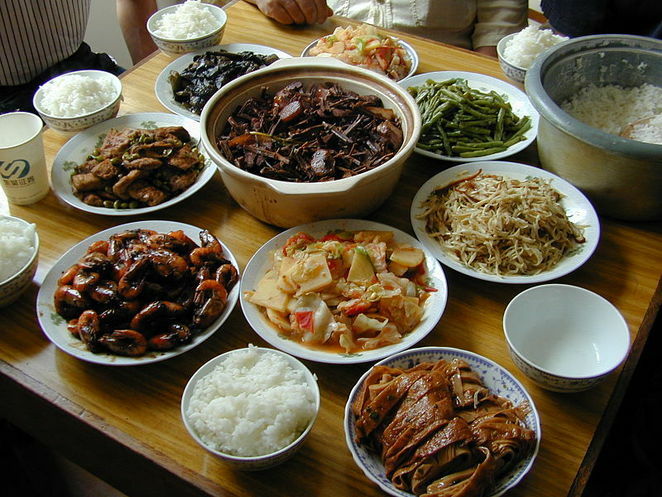 I love hot pot in winter with a large group of people, but my Northern Chinese Friends love hot pot in any season with any number of people. You are given a pot of soup. In many restaurants you have the option of having half the pot savoury and the other half hot and spicy. You order a variety of ingredients that you cook in the soup. I recommend getting a few meats which you cook first to flavour the pot. Potatoes, mushrooms, various green leafy vegetables and other vegetables can then be added. One favourite to order is frozen tofu. Freezing tofu changes the texture and is a popular hot pot ingredient. There are a couple of hot pot restaurants in Sunnybank such as Top Pot. Found in nearly every Japanese restaurant in Brisbane but rarely ordered, Osaka street food is famous in Japan with Osaka being the culinary heart of Japan (or should I say culinary stomach). 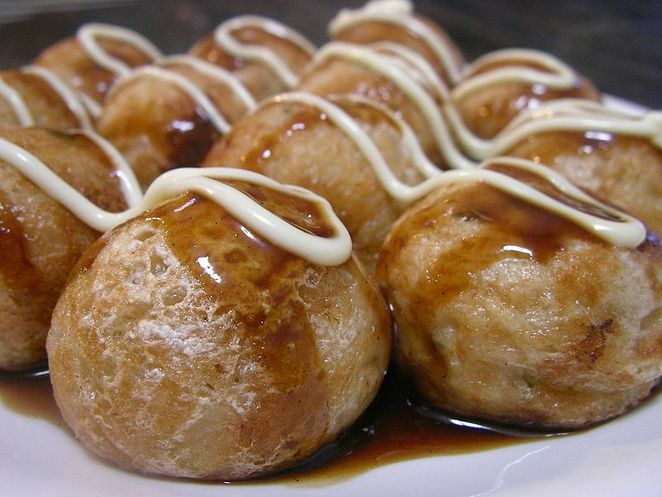 Two dishes that I routinely order are okonomiyaki (seafood pancakes) and takoyaki (octopus balls). Eat and drink the Japanese way, especially in winter. 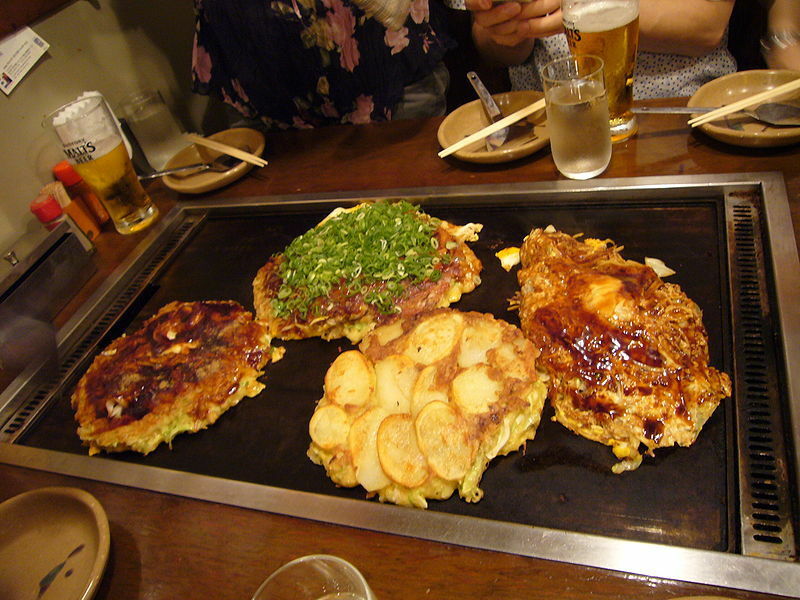 Order hot saki and varioius little dishes such as okonomiyaki and takoyaki. There are many Japanese restaurants that do excellent takoyaki such as Wagaya and Ginga and of course the Kuan Yin Tea House does great vegetarian versions of these dishes. Vietnam's most famous dish is their Pho noodles but there are a number of other great Vietnamese dishes that you can eat as well. I was going to suggest Vietnamese barbecue however in Brisbane there are few options for barbecue beyond dat lamb. 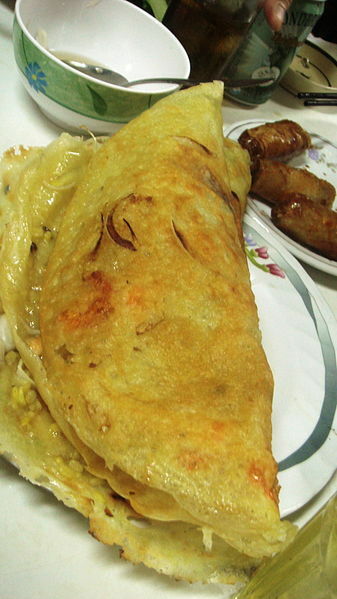 Instead I am going to recommend Vietnamese pancakes, another Vietnamese dish most Australians have not tried. There are a few restaurants in Fortitude Valley that do Vietnamese pancakes. Try Vietnam House. They also do some Vietnamese Barbecue, so kill two birds with one stone. When I asked my Indonesian friend if there were any dishes that he missed since coming to Australia, he replied "Gado Gado". This wonderful salad of lightly boiled vegetables and hard boiled eggs will delight vegetarians and convert meat lovers. Makanan Indonesia Restaurant in West End gives you the option of buying a mixed plate, which will include fried chicken, nasi goreng and gado gado. Ah Takoyaki, My alltime favourite food. I used to get this on my way home from work when I lived in Osaka all the time. As you say, a very tasty and often overlooked dish. I would strongly recomend it to anyone who has not had the pleasure.